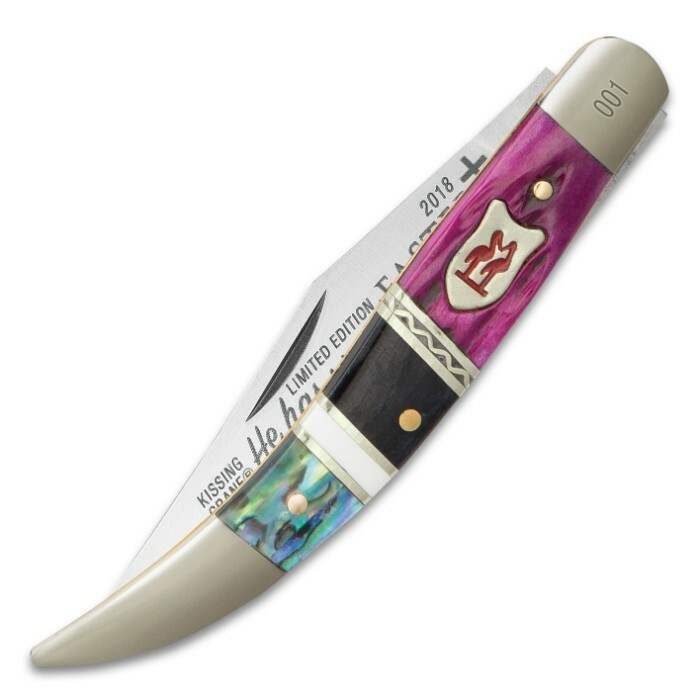 Kissing Crane 2018 Abalone Easter Toothpick Pocket Knife | BUDK.com - Knives & Swords At The Lowest Prices! 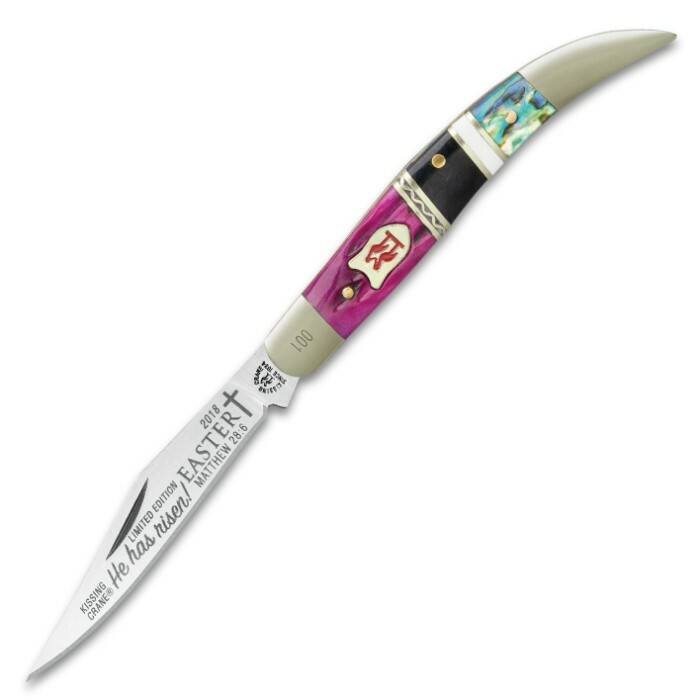 Remember Easter this year by getting the Abalone Easter Toothpick Pocket Knife from Kissing Crane. 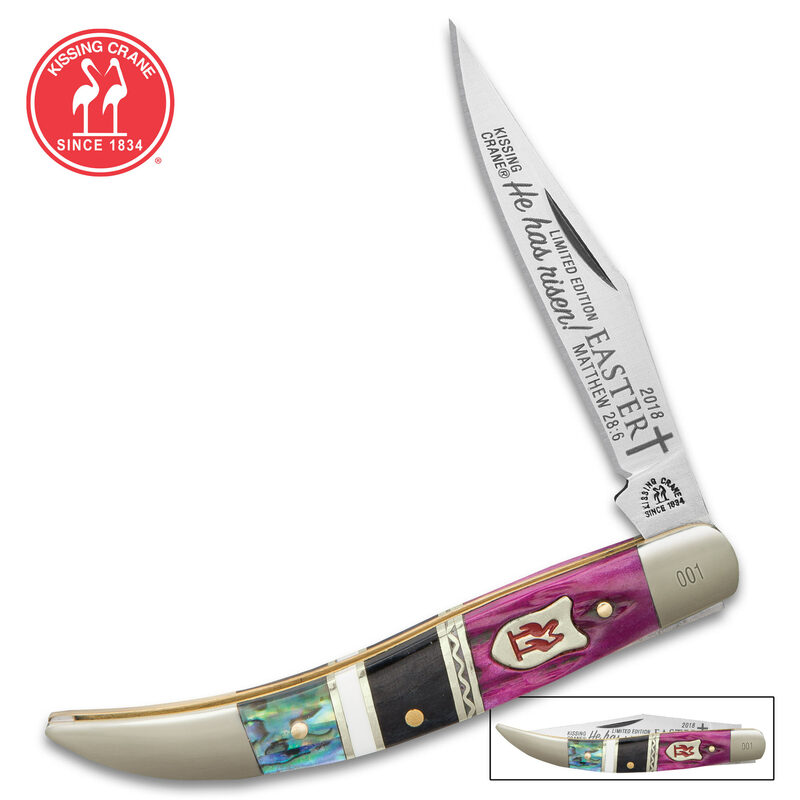 This 2018 limited edition pocket knife features a 2 1/2" razor sharp 440 stainless steel blade with commemorative Easter etchings. The handsome handle features genuine abalone and is also crafted of bone and stone. The polished silver bolsters, brass liner and the classic Kissing Crane cast shield complete this exquisite design. Each one is laser serialized on the bolster.